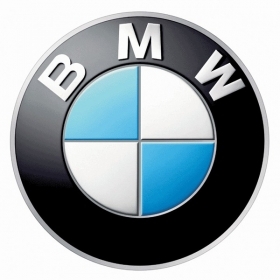 BERLIN (Bloomberg) – With plans to raise sales by 10 percent this year and develop cleaner technology, BMW AG is beginning a drive to recruit 2,600 new employees by 2011. The automaker aims to add expertise in electric vehicles, hybrid powertrains and cleaner combustion engines to develop models with lower carbon-dioxide emissions to meet environmental regulators' demands for cleaner-running cars, Michael Rebstock, a BMW spokesman, said. In the two years up to 2009, BMW scaled back the work force by 11,000 employees to 96,230, as part of CEO Norbert Reithofer's cost-cutting measures to boost profitability. The company now plans to recruit for research and development and purchasing and sales jobs. BMW hopes to expand growth from an anticipated 1.4 million deliveries this year to 2 million deliveries by 2020. Other German automakers are also hiring. About 50,000 jobs could be created globally by Volkswagen AG within five years. The company is planning 10 percent of the positions in Germany, its second-biggest market after China, personnel chief Horst Neumann told the Handelsblatt newspaper in an interview confirmed by Stefan Ohletz, a VW spokesman. Daimler AG has added 400 workers this year at its factory in Rastatt, Germany, where it builds Mercedes-Benz A- and B-class models, said Nicole Kicherer, a spokeswoman at Daimler. Daimler also intends to hire 2,500 more employees at a new Mercedes small-car plant in Hungary.